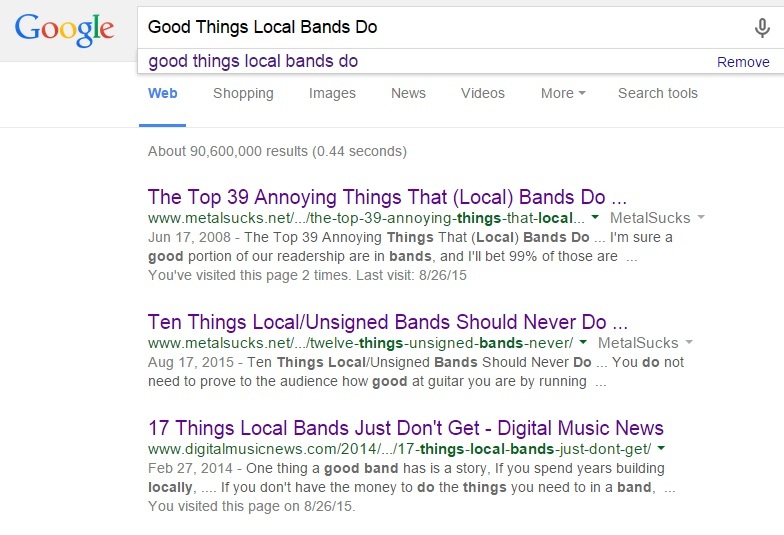 Everywhere you look, there’s some article with a title that reads something like, “The Top 50 Annoying Things That Local Bands Do” or “20 Things Your Band Should Never Do”. Local bands pave the way for many National and Touring acts. A lot of promoters these days, just don’t do their jobs properly. They don’t spend any money on advertising, they don’t hang up or pass out fliers, and they consider posting a low quality image on their Facebook as promotion. It’s no secret that the local bands are the ones doing most of the footwork; in a lot of cases, rightfully so. You should be out there working the grind. But local bands don’t get the recognition they deserve for promoting the shows and selling the tickets; getting “cheeks in the seats” as some old-school promoters might say. There are good promoters out there, who know how to reward bands for their efforts, but too often do bands get stiffed for all their hard work. And it’s not just from promoters and venues…. it’s the bands they are performing with too. All over the country, eager, hungry artists are selling massive amounts of tickets for the opportunity to share the stage with some of their favorite bands. It’s an awesome prospect, but there’s a lot of bands that won’t even mention or thank the openers on stage (a common practice), or at least meet and greet them and thank them for their hard work. Kudos to all your hard working bands out there, who are helping keep your music scene alive! Playing for Free. Giving their music away for free. Artists poor their blood, sweat, and tears into their art. They spend countless hours perfecting their craft and getting their songs ready to perform. 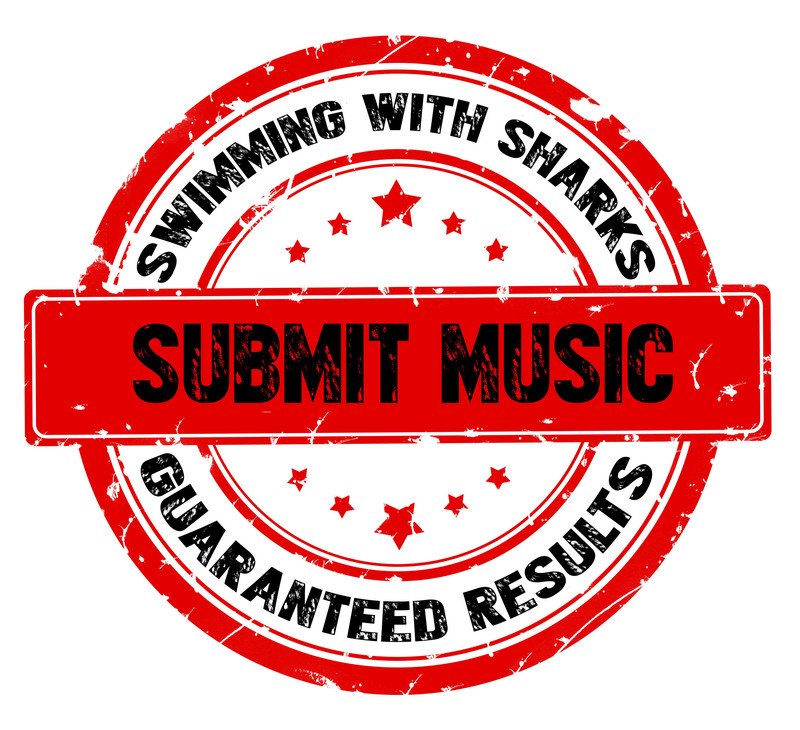 They spend countless dollars and an insane amount of time in the studio, recording their songs; pouring over every detail to create the best finished product they possibly can… Only to turn around and offer it up to you and I, for FREE! The music industry has changed dramatically over the past decade, alone. Technology is quickly changing the way we consume music, for better or worse. Most people EXPECT and DEMAND music to be given to them these days. Nobody wants to pay for music anymore. Bands rely heavily on playing shows and selling merchandise to make any sort of positive gain, monetarily. A lot of promoters and venues are slowly stripping away this lonely source of income, bit by bit, as well. Expecting and demanding that local bands play for free… This just isn’t right. To all the bands out there giving your art away for free… I commend you! Passion. Enthusiasm. A lot of artists and bands who have moved way up the totem pole… quickly become jaded and bored of their craft. It shows in their droll performances and uninspired albums. Locals bands still have that fire! That spark! They love what they do and it’s infectious! They get people excited about going out to live shows and excited to see and hear what they are creating. It’s a wonderful thing. They are approachable. So many “rock stars” out there who can’t be bothered. Some of them may as well be face palming their fans. Most local bands don’t have too huge an ego or an over inflated sense of self worth. They are friendly and eager to share their music, knowledge, and experiences with you. For young, impressionable musicians out there who are just learning, this is a gift. Successful local bands that interact with their fans are doing it right. When I was a young, impressionable musician, some of the people I looked up to most weren’t huge rock stars. They were the local bands. When they took the time to talk to me and answer my questions and help me out, it made a world of difference. They remember their loyal supporters, media, booking agents, sound people, door people, bartenders, etc. and maintain relationships with them. Again, once a lot of bands reach a certain point in their careers they forget where they came from. They begin to treat sound people, and venue owners, and promoters like garbage. A lot of local bands have a healthy, positive relationship with anyone who helps them in any way. They appreciate others, and don’t take support for granted; and this extends to other bands. Local bands are often times able to band together and help each other out. Once you reach a certain level in the music business it becomes a fierce competition and camaraderie is few and far between. Try new things. “Successful” artists have usually found a formula that works, and they stick to it. 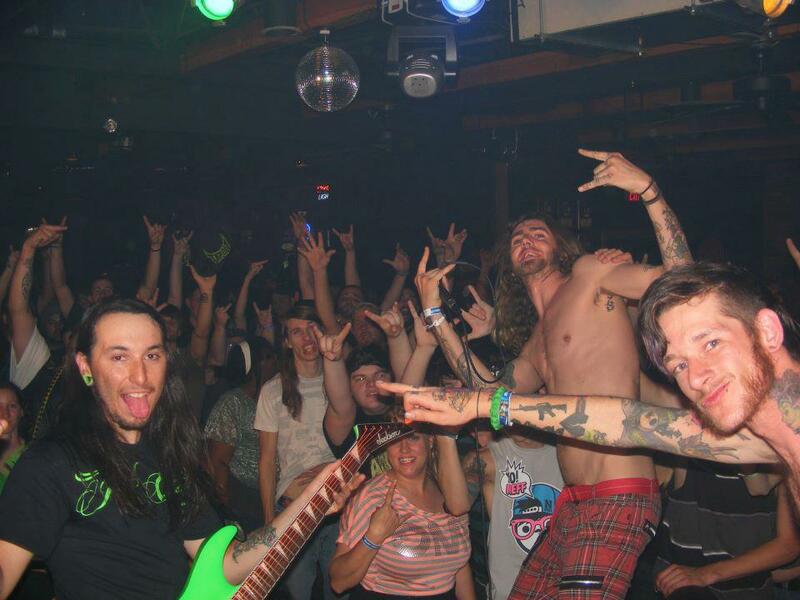 Local bands are in that exciting stage where they are trying things out, experimenting… it cultivates an atmosphere of “what will they do next” that a lot of popular touring acts are missing. Local bands might be changing up their wardrobe from show to show, or inventing new ways to wow the crowd, or mixing different styles together to create something unique. Whatever it may be, I fully support local bands that try new things and go out on a limb. Play shorter sets so National acts get their time to shine. This is a classic scenario. National act shows up late. Take forever to set up and sound check. By the time they get off the stage and let the first band set up, doors are open and the show should have already started. Even though the local band in question sold 100 tickets to the show, and promoted the concert for 2 months in advance, they are ushered off stage in the middle of their set and/or ordered to cut songs. Props to the local bands that play 15 to 20 minute sets, so the national touring acts get their time to shine. Honestly, I could keep going and going with this list. By now I think you get the point. Sure, there are horrible, no good people making horrible, no good music out there… but it shouldn’t distract from the heaps of good, awesome, hard working local bands out there, doing it right! Cheers!